It’s like the scene from the bad dreams you had as a kid; the ones where you show up to take your final exam and don’t remember a thing. You’re at a business function explaining what your company does and someone asks what your strategy is, and you have no answer. You should have one. You want to have one. But nothing comes to mind. While choosing a strategy isn’t impossible, it is a word that’s often misunderstood. Your strategic plan will contain many things, including your mission, vision, principles, objectives and tactics, but none of them are your strategy. 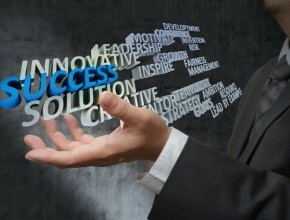 Your strategy, simply, is the way in which you plan on matching what you do best with the customers you plan to reach. In the 1980 classic Competitive Strategy: Techniques for Analysing Industries and Competitors, Michael Porter simplifies the scheme by reducing it down to the three best strategies. They are cost leadership, differentiation, and market segmentation (or focus). Organizations that choose this route aim to produce a product or service that matches a given level of quality, at a lower cost than their competitors. They then either sell their product or service at a normative cost in order to maximize revenue or they sell at a lower cost in order to gain market share. The key to this strategy is efficiency. If your organization’s strengths include operational excellence, or efficient distribution channels, or any other attribute that allows for cost savings in production, this strategy is an option. The risk with this strategy is that eventually other companies will also be able to produce at a lower cost, due to the efficiencies brought about by advances in technology. Businesses that choose this strategy have a unique quality to their product that customers see as better or at least different from the other options available in that market. This uniqueness gives the producer the chance to sell at a premium price. If your organization’s core competencies grant you greater skill or creativity in production, and your sales and marketing effectively communicate the advantages of your product or service over your competitors, this may be a good choice. This strategy is also called a segmentation strategy because it involves carving your market in order to focus on a smaller group in which you can implement either a cost leadership or differentiation strategy. One benefit of using a focus strategy is that businesses can build loyalty in their given segment. While businesses that choose to focus on one smaller segment of an industry may not have the leverage with suppliers that other organizations may, they generally have more intimate knowledge of their target customers and are able to tailor their products or services to them, and therefore charge greater prices or enjoy greater loyalty. While your over-arching statements like mission, vision and principles give your long-term direction, there still needs to be something that lives in between those statements and the decisions you make to bring them into fruition. Choosing a strategy means that your company and the employees within have a solid answer for not only where you’re going, but how you’ll get there. With an obvious strategy, you have the structure needed to decide between different objectives and tactics that make up your action plan, and lead your organization to victory.